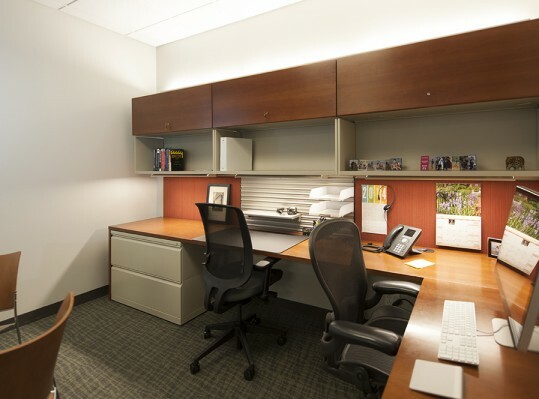 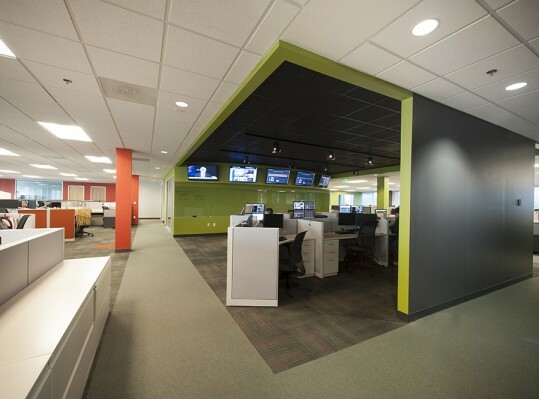 RRMM Design Build was contracted to construct the renovation of a 26,625-SF office suite for Gannett Media Technologies International (GMTI) at Liberty Executive Park. 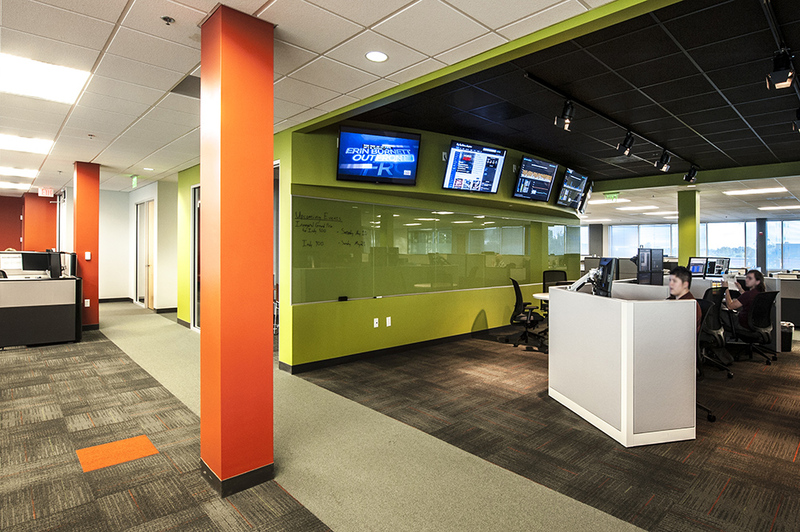 GMTI provides services such as network architecture and software development for Gannett’s national digital media platform. 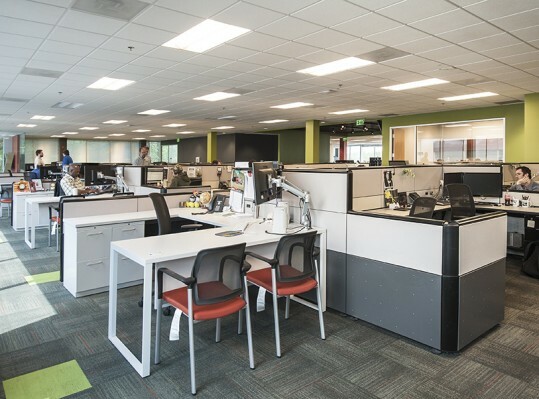 Their build-out focused on an ‘open floor’ concept to utilize the office’s natural day lighting and increase worker productivity. 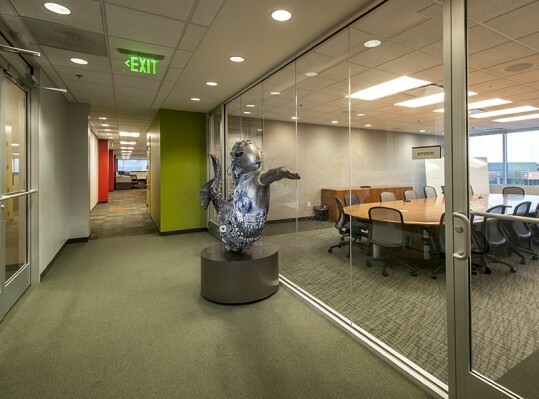 GMTI’s new space consists of a total of 165 employee work stations located at the four corners of the building, three large conference rooms, and several huddle/workrooms for private meetings.